Travel preparation for the US started with a discussion about the weather in Boston, which is freezing cold in winter. As we discussed the weather, it seemed to me like it was going to be a dull time of year because of the cold. Fortunately, I traveled during festive Christmas and New Year season. I was excited to celebrate the New Year in Boston and a little nervous because I had to leave my 2 year old son for a month. Travel from Kathmandu through Istanbul to Boston was good. Unfortunately, I missed the connecting flight to Boston because of a delay when leaving Kathmandu. Nepalese passport holders are not provided on-arrival visas to Turkey so I had to stay in the airport overnight. Istanbul gave me sudden feeling of being alone at foreign place. I was very happy to be picked up by Abanish Kayastha, Sanjeev Tuladhar and Sushanta Pokharel at the Boston Airport. We went for a delicious dinner at Abanish Kayastha’s place that evening. At the time, I got the feeling that the month was going to be good. My fear of being alone was gone because it felt like being back with my family, the Deerwalk Family as we proudly call it. The office in Lexington was great and felt like an extended office just near our Nepal office. We work so closely with each other in the US and Nepal. Both teams adjust our work patterns and times to minimize this distance. I had a wonderful time in the office full of energetic people. It was a pleasure interacting with Anadi, Smriti, Minal, Trilok, Namita, Arjun, Rob, Gerardo, Vijay and Kevin in person. Meetings with prospective clients, working with our CTO, Jeff Rick, for estimates, morning stand-ups, sharing lunch with different stories, new updates and weather discussions were all fun and educational. It was my privilege to interact with the Executive Chairman, Rudra Pandey, and the President, Jeff Gasser. I also got a chance to visit one of our Services clients. Thanks go to Rob and Trilok for working it out. It was wonderful meeting them over lunch. I was sharing accommodation with Sanjeev Tuladhar and, like everyone says, he has a solution for every problem. He made me so comfortable while staying in the apartment. 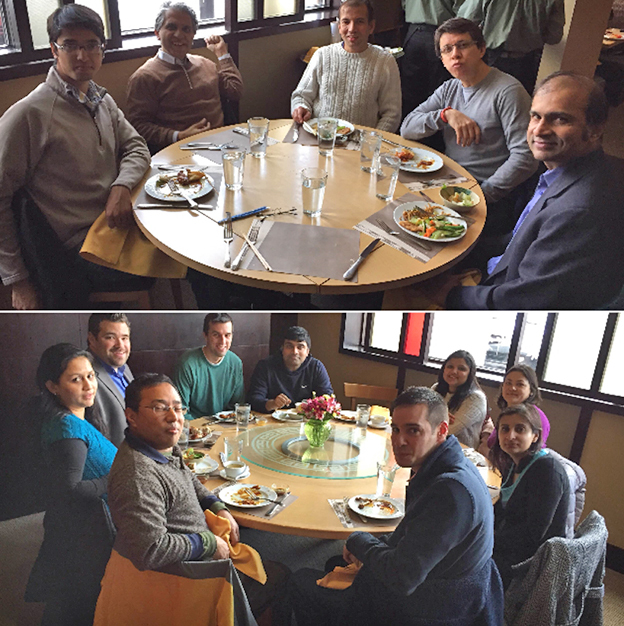 We had a good time cooking Nepali dishes, shopping in the US (core task when you visit there), lots of new information and driving from Belmont to Lexington. He also had a good share of books to read and provided everything else I needed. I took some time to catch up with my family in Madison, Wisconsin during the Christmas break. 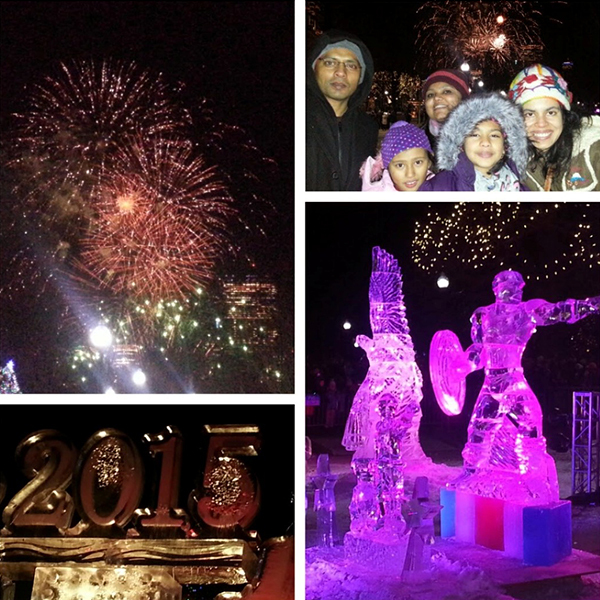 The New Year celebration in Boston was an amazing experience seeing ice sculptures and fireworks in spite of being out in the freezing cold weather. 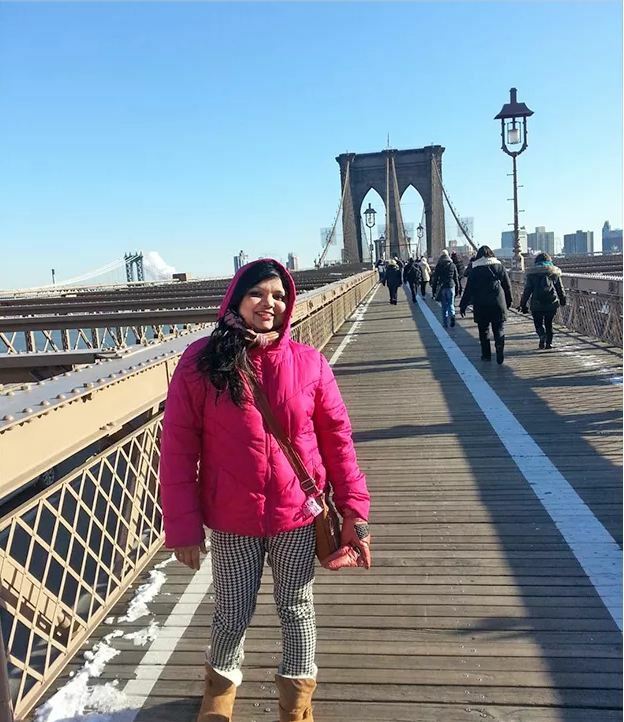 I took time to visit New York and enjoyed every bit of it. 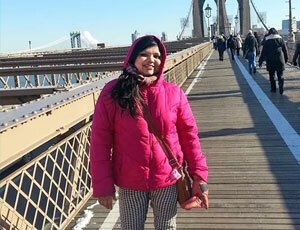 In spite of the chilling weather, we roamed around the city. I must say that New York City has a high voltage energy that kept us going. 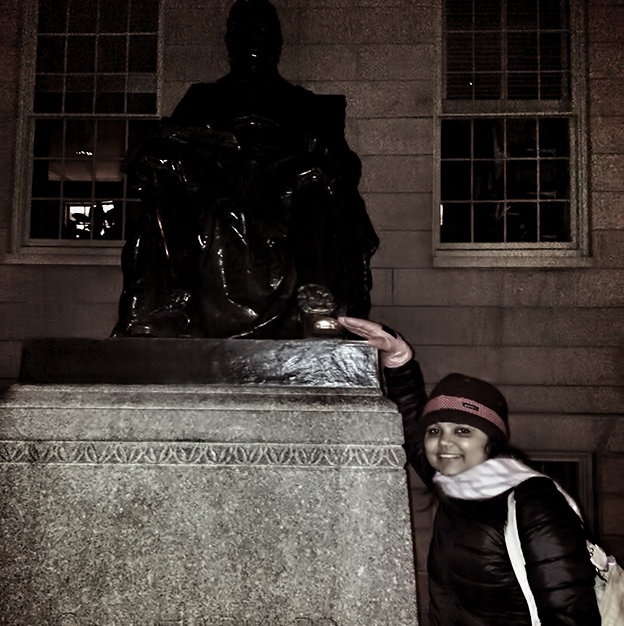 Ashay took me around the cityof Boston. How could I miss all those historic details. Boston really has so many things to boast about with lots of history in it including Quincy market, the Holocaust memorial, Harvard Square, the oldest subway of America and, of course, the sports teams. Everything about this trip was special for me. The Deerwalk family is wonderful including the hospitality of Rudra and Muna, being with Abanish and family, having the smallest things taken care of, ladies night out ( plus Ashay), birthday celebration, lunches at various eateries and walking in snow with Sushant. It was definitely a great experience being with all the warm people in such cold weather. Thank you everyone for making my trip so memorable.